Since 8 years, kids have usuallythemselves understand what they need toys to play with. Therefore, parents, choosing new toys, must take into account the interests of their children, to listen to their request. And, bearing in mind the need for their future development, try to buy more sophisticated toys. Designers Meccano for boys 8 years. When you work with Meccano structure (their parts are connected by means of nuts and bolts) have kids starting to develop motor coordination, fine motor skills, sorting skills and other functions. In addition, children learn read blueprints, use instructions assembly, follow the advice. Meccano Constructor give your child opportunities for technical imagination and introduce him to the basics of electrical engineering and mechanics. Approximate price of the designer: 1000-1300 rubles. New Machine Bibikar - The best fun of your kid. Bibicar - is the perfect patented invention, which not only will be able to serve as toys, but also Useful for health your baby. This machine is made from environmentally friendly, highly durable plastic. The approximate price of the machine: 2200-2500 rubles. A set of "My First Railway" for boys 8-10 years old. it developing designerThat is quickly going. It must be installed on a flat surface, rastavit trees next to the railroad. Bright rails of durable plastic are connected to the ring easily. The railway consists of blocks of different colors that helps children quickly learn colors. When driving the engine eyes move left and right. Approximate price of the set: 600-900 rubles. 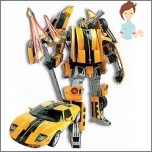 Robot Transformable for boys. This toy is a scary futuristic warrior who in a few movements can meet in an accurate model of a modern car. This toy multifunctional and high quality. The original design solution and fidelity components toys your baby will give a lot of minutes of fun games. Approximate price of the robot: 400 800 rubles. Set "Solar System" for your boy. Set, which allows you to collect a table model of the solar system, in which all the planets revolve. The model works from solar panels - Enough to make the design on the bright sunor placed under a desk lamp. Observing the rotation of the model, we can see how the parade of planets. This model was made very realistic. Approximate price of the set: 700- 1100 rubles. Radio-controlled helicopter for boys from 8 years. A perfect gift for a boy of 8 years will be a toy radio-controlled helicopter. 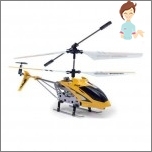 Lightweight and small helicopter on the remote control to quickly soar into the air, is securely held even within a small space and gives a lot of positive emotions as a child and his parents. Approximate price: 1100- 1400 rubles. 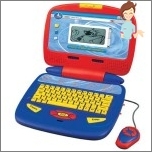 Teaching children computer for your child. The computer introduces a boy with numbers, with new words and letters. Games can develop memory and logic. Sound effects, live animation, Cursor mouse and keyboard - that such a set of elements. Your computer will help the child to develop and demonstrate their independence around, learning ability and responsibility. 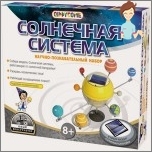 The approximate price of a toy computer: 3200-3500 rubles. Table soccer for the boys. Table football - it's not just a toy, but a real sporting event, which you can arrange, without leaving home. 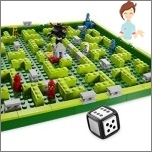 This game may require players reaction speed, agility and accuracy of movements, The ability to build the right moves. No wonder kids table football fond of many generations. The set has a playing field with the players two teams, counting scale goals. Approximate price of the set: 750-900 rubles. Pozharnaya Machine Big Power Worker for young firefighters. 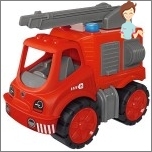 Young firefighters are likely to be able to appreciate a wonderful fire truck Power Worker BIG, which is specifically designed for boys! 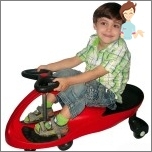 The car of bright color and impressive size is perfect for playing indoorsAs well as outdoor playground. Stable fire engine wheel made of soft material, the toy can please its beautiful appearance. In the back of the machine are placed several compartmentsIn which you can carry everything you need when fighting fires. The approximate price of the car:2000 - 2300 rubles. Water gun for your baby. Game Water Gun - a wonderful gift for your child. To gun joined need to create a pressure by a pump, which is integrated in the gun. This helps gun develop coordination and accuracy, motor activity. Approximate price of the gun: 700-900 rubles. Departmental kindergarten and private - to compare and choose!